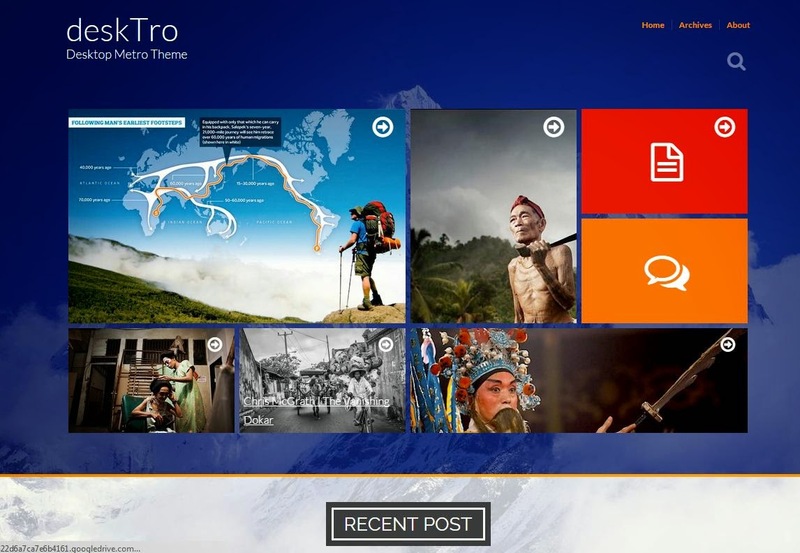 DeskTro is a responsive metro theme which are inspired by the windows 8 design for Blogger Template. This template created with a custom post type called Tile, with off-canvas icon navigation with an animated border effect, and Portfolio posts make your blog interesting by publishing different post formats such as: images, videos, links, etc. It comes with different background colors.